Just a reminder that Windows 7 is in its final year of support by Microsoft. What this means is that as we get closer to the final date [January 14, 2020] and after, companies may stop supporting Windows 7. This could be anything from no more anti-virus definitions or software updates to no support for new hardware [for example, if your printer dies, there may not be any software that will work with a new printer and Windows 7]. The above could happened when the various web browsers [Google, Firefox, etc.] stop supporting Windows 7 even though they will support newer operating systems. Buy a replacement computer or if you don’t really think you need a computer, buy a tablet [if you don’t have one]. Your computer may still be upgradable to Windows 10. There is no cost for the license, but it will be a lengthy process [time and cost] required to migrate. You can leave the computer at is and hope that nothing happens. This means an increased chances of security issues. Microsoft has announced that the upcoming release of Office 2019 – expected in the second half of 2018 [and I suspect in early October when a feature update of Windows 10 will be released] – will only support the currently supported editions of Windows 10 [a.k.a. “Semi-annual Channel”], Windows 10 LTSC 2018 and as well as the next LTSC version of Server. Yes. There will be no support for Windows 7 or Windows 8.1. Server applications will continue to be available with the traditional MSI format. Finally, Microsoft has also cut some of the support time for Office 2019 desktop applications. As of the Office 2019 release, there will be 5 years of full support and just 2 years of extended support. Considering Windows 10 is just barely coming close to breaking the 50% mark in deployments, they are shutting themselves out in some potential sales. That said they have the issue where Windows 7 is still huge and Windows 8.1 is very small. They can’t stop Windows 8.1 support but continue Windows 7 support. Microsoft is assuming those millions of Windows 7 users will upgrade to Windows 10 as support ends in less than 2 years. But there are still quite a few using Windows XP and even Windows Vista. 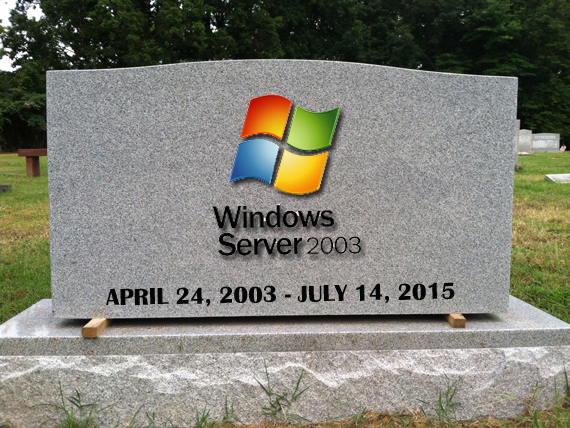 Just a note that Windows 7 support will officially die in about 2 years. When that happens, Microsoft will not offer any new support [including security updates]. Similarly, most third party will stop supporting Windows 7. For example, whomever you use for anti-virus may stop further updates. In another example, new printers will not contain software to support Windows 7 [although this could happen sooner]. Stick with Windows 7 but expect lest security. Buy a new computer [in particularly if your computer is quite old and/or slow. For the latter you may say “I thought that free upgrade period was long over?” It is but there is a caveat. You can still upgrade to Windows 10 but you have to uninstall all licensed software and back up your data. You then need to wipe the hard disk and install Windows 10 with the Windows 7 license, install your licensed applications and restore your data. That is a lot of work, but it can be done. Adobe will stop supporting Flash by the end of 2020. Until mid/late 2018, Microsoft Edge will continue to ask users for permission to run Flash on most sites the first time the site is visited, and will remember the user’s preference on subsequent visits but Internet Explorer will continue to allow Flash with no special permissions required during this time. By mid/late 2018, for Edge, it will require permission for Flash to be run each session. Internet Explorer will continue to allow Flash for all sites in 2018. By mid/late 2019, Flash will be disabled by default in both Edge and Internet Explorer but can be re-enabled in both browsers. But when re-enabled, Edge will continue to require approval for Flash on a site-by-site basis. By the end of 2020, Flash won’t be able to run in Edge and Internet Explorer across all supported versions of Microsoft Windows. Mozilla said Flash will be disabled in 2019 and users will choose what sites can run Flash in 2018. Note that Silverlight will die at the end of October 2021 [although few care!]. For the fewer and fewer who are still running Windows XP, Google will drop support for the Chrome browser for Windows XP in April [and don’t be surprised when Vista retires that Google will stop support on the same day as Microsoft]. Those who are using a recent version of the Chrome browser will have noticed by now the bar at the top of the browser window when the Chrome browser is opened. Right now, the next alternative is Firefox. For now, Mozilla is still supporting Firefox and Windows XP. This brings me to something which you may already know: The support by companies that support Windows XP is dwindling.